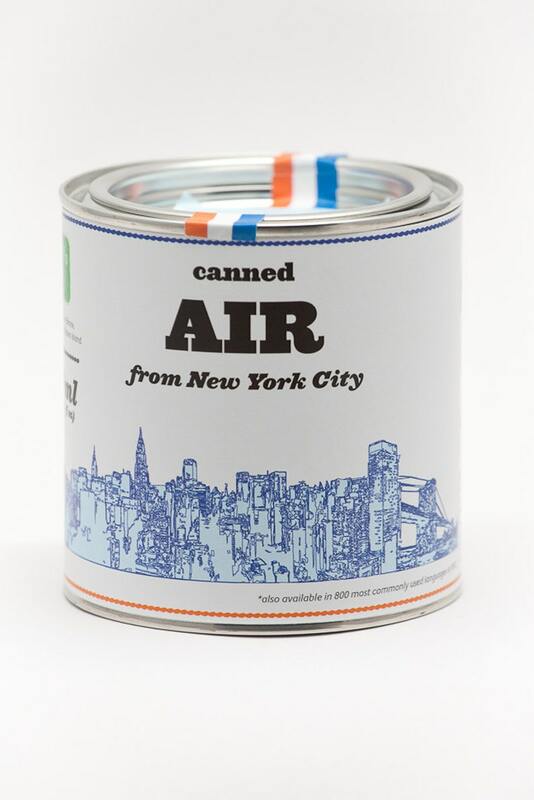 Canned Air from New York is a middle-sized empty can, a gag souvenir with witty texts and images printed on it. The can is 88 mm (3,46 in) high and 86mm (3,38 in) in diameter. *also available in 800 most commonly used languages in NYC. *May contain traces of Bronx, Brooklyn, Queens or Staten Island. The Air of New York is also a great gag gift for your friends and family. Forget the magnets, cups and plates. Bring home something everybody will love and ask questions about. We are preparing some great cans from other magnificent cities. Stay tuned!